Nothing says quality and sophistication like a leather bag. Unfortunately, premium leather often comes with a hefty price tag. 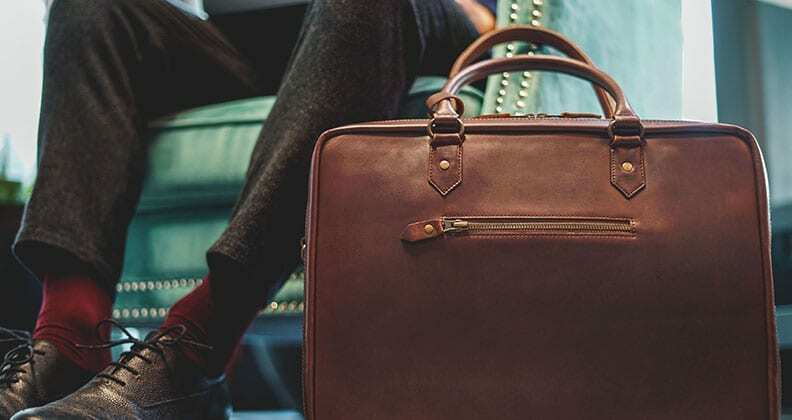 Enter Buckle & Seam, a direct-to-consumer start-up company that produces bespoke leather bags and accessories for prices that won’t break the bank. But Buckle & Seam is about making a social impact as well as a style one. For every bag sold, Buckle & Seam donates three per cent of its revenue to a girl’s school in Pakistan. The company is the brain child of Marco Feelisch, a Curtin international business graduate and Berlin native. 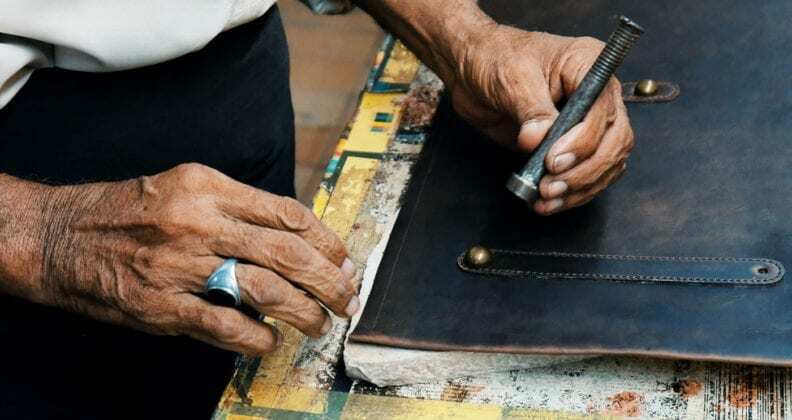 In 2016, he started creating designs for a leather briefcase with his then colleague, Georg Wolff, while living and working in Karachi, Pakistan. Founders of Buckle & Seam, Georg Wolff (L) and Marco Feelisch. “I thought the style of business bags in the market were too boring or clumsy for my taste, but the leather bags were too expensive for someone like me, who was straight out of university,” Feelisch says. The duo must have known they were onto something, as that same year they quit their jobs and launched Buckle & Seam. Since 2016, the start-up has sold over 15,000 products and earned glowing reviews from GQ, Vogue, Forbes and Business Insider. Customers can personalise their bag by choosing their own inner fabric lining and adding engraved initials. 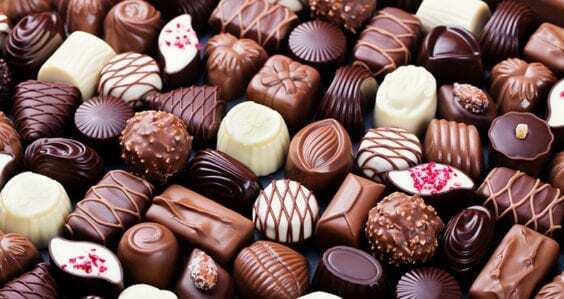 Feelisch says the success of the company is down to the simple yet quality design of its products. Every bag is made from full grain cowhide and finished with a vegetable tanning process known as ‘crazy horse’. The result is a leather bag that is twice as thick and durable as conventional bags, and one that will adapt to the owner’s individual habits. Products include briefcases, messenger bags, laptop cases, dopp bags, wallets and belts. Customers can personalise some products by choosing their own inner fabric lining and adding engraved initials. “Practicality and clean lines are our formula for creating timeless classics meant to last and accompany its owner for years, regardless of trends,” Feelisch says. Feelisch and Wolff own their own production factory in Karachi and employ local leather craftsman to create their pieces. Buckle & Seam craftsmen are paid three times more than the market standards, receive bi-annual bonuses, and are all officially employed with working contract and social protection. “We wanted to stay connected to the country we called home for about one and half years – that’s why we decided to produce in Pakistan and have an impact there,” Feelisch says. “By opening up our own factory, it gave us the opportunity to introduce ethical work standards, train our workforce and develop high quality leather products for a lower price. In addition to its fair work practice, the start-up supports girl’s access to education in Pakistan through its ‘One Bag One Child’ project. The initiative fully funds Anum School in Karachi, including teachers’ salaries and students’ tuition. The project has been so successful that more girls want to attend Anum than can be accommodated, so Feelisch and Wolff are preparing to open their own school. “Most of us take our access to education for granted,” Feelisch says. 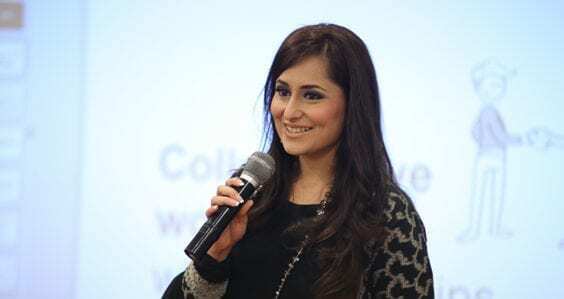 “For women in Pakistan it remains a big challenge. 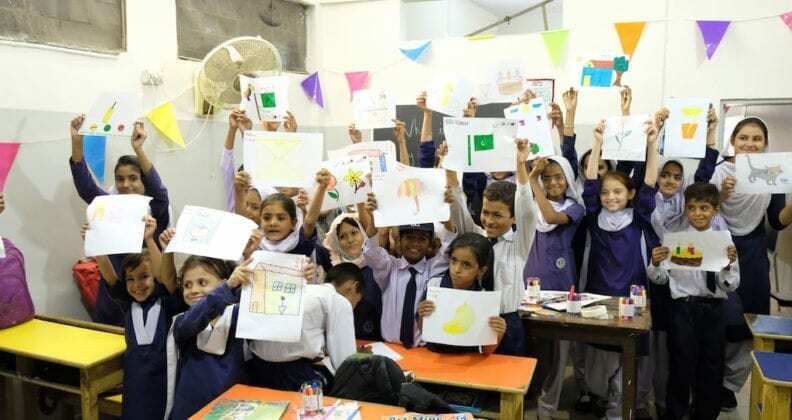 The start-up is working to improve the curriculum of Anum School in Karachi, and aims to open a larger school to accommodate more students. Buckle & Seam represents a new generation of businesses that are incorporating social responsibility into their practice and products. 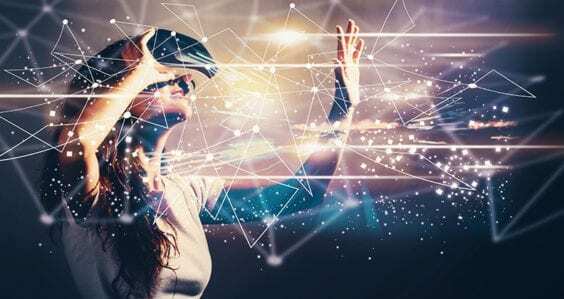 The transformation is driven by a growing demand from consumers for businesses to have a purpose beyond turning a profit. 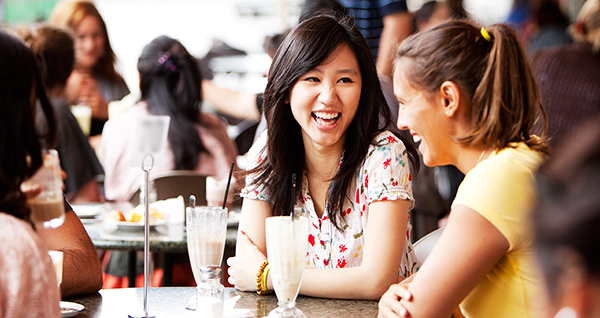 “I was always lucky to be surrounded by value-driven people, both in my childhood and during my time at Curtin. It fostered in me the belief that anyone who starts an initiative, movement or business should aim to make a change in society. 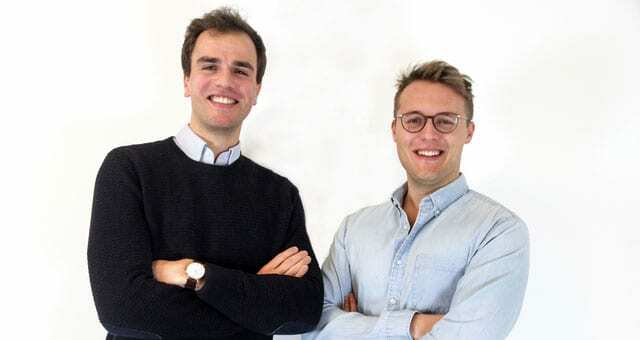 Feelisch and Wolff were recognised for their social contributions by being named on Forbes’ 30 Under 30 Europe list 2019, which celebrates young disrupters, visionaries and rising stars from across the region. Like any good start-up, Buckle & Seam won’t be slowing down on the back of its Forbes success. 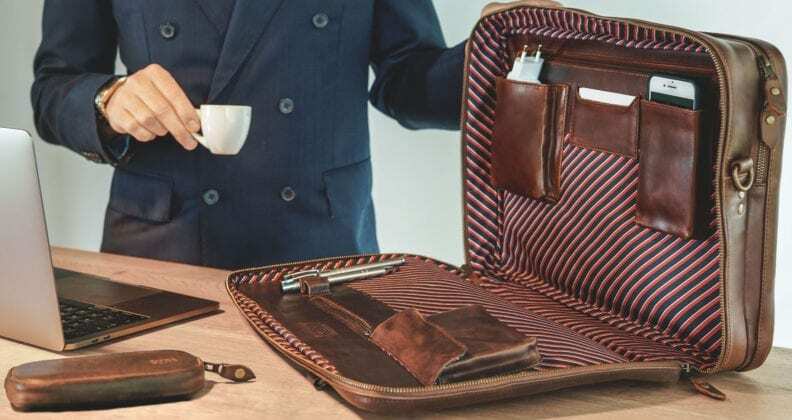 Feelisch says the company has plans to expand its product line and will continue to learn from business challenges, while aiming to be the number one brand for personalised leather goods in Europe. Judging from the company’s trajectory, this goal seems in the bag. This story is part of Curtin’s Young Alumni Stories series where we celebrate the achievements of Curtin graduates 35 and under. Learn more about the Young Alumni Program.